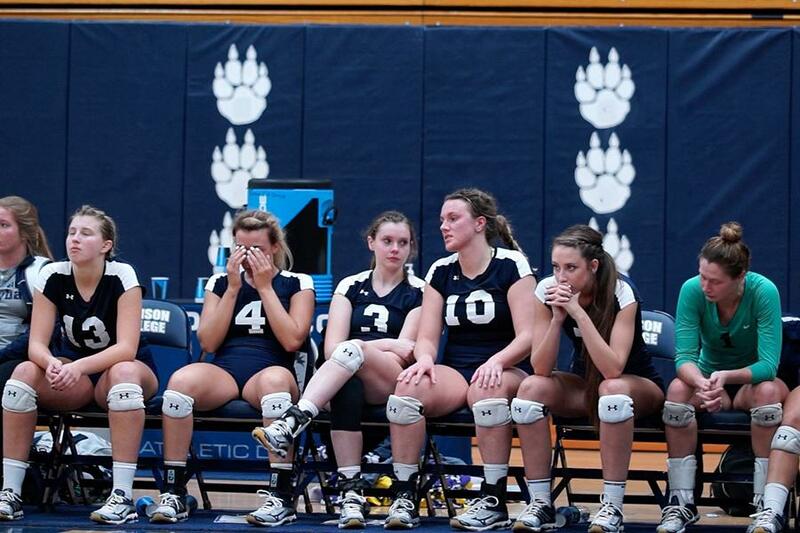 Members of the Madison College women’s volleyball team gather their emotions after a loss to top-ranked Harper College in the NJCAA Division III Championship played in Redsten Gymnasium on Oct. 29. 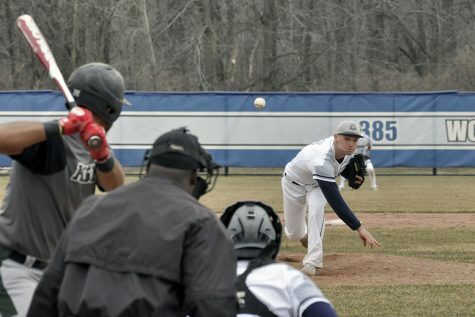 Harper College and Madison College spent virtually the entire season No. 1 and No. 2 in the NJCAA Division III rankings. So it surprised no one when the two conference opponents ended up facing each other on Oct. 29 in the Region IV Tournament Championship for the right to advance to the national tournament. 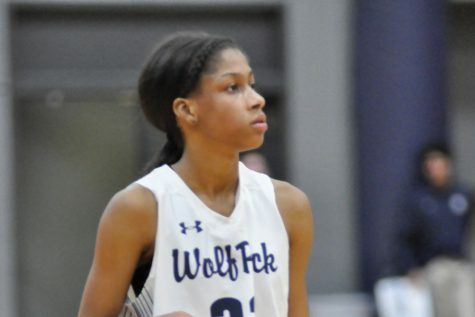 Madison College had hoped home-court advantage might help the WolfPack avenge two regular season losses to Harper College. But it wasn’t to be. Harper College defeated tournament host Madison College, 3-1, ending the WolfPack’s streak of national tournament appearances at three straight. The first two games of the match were close. Harper College won the first, 26-24, while Madison College won the second, 25-21. The last two games of the match, though, were dominated by Harper College, which won 25-14 and 25-15. Andrea Bauer led the WolfPack with 18 kills and 17 digs. Samantha Jacobsen added 17 digs and two services aces, while Taylor Genthe had 42 assists. Harper, 40-1, moves on to the national championship on Nov. 11 in Rochester, Minn. Madison College finished the season with 27-5 record. Madison College had to rally to reach the championship game, taking the final two sets against Rock Valley to win 3-2. TeAnn Harms had 19 kills, while Bauer added 18 to lead the WolfPack. Three Madison College players received all-region honors. 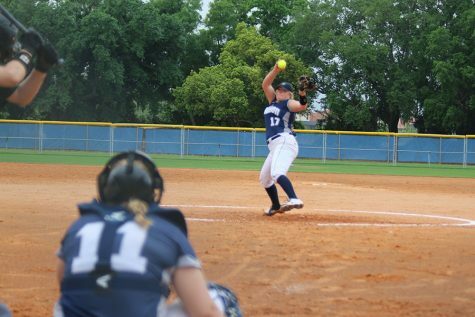 Bauer and Harms were named to the first team and were tabbed as Region IV All-American candidates, while Kaitlin Mooney received second-team honors.